The environmental footprint of a product (good or service) is a measure of the absolute environmental impact(s) over the full life cycle of a product in a specified application. A product may cause environmental impacts over its life cycle in different ways, typically through emissions into water, air or soil leading to environmental impacts; as well as use/depletion of scarce resources (e.g. fresh water, minerals, soil or biodiversity). 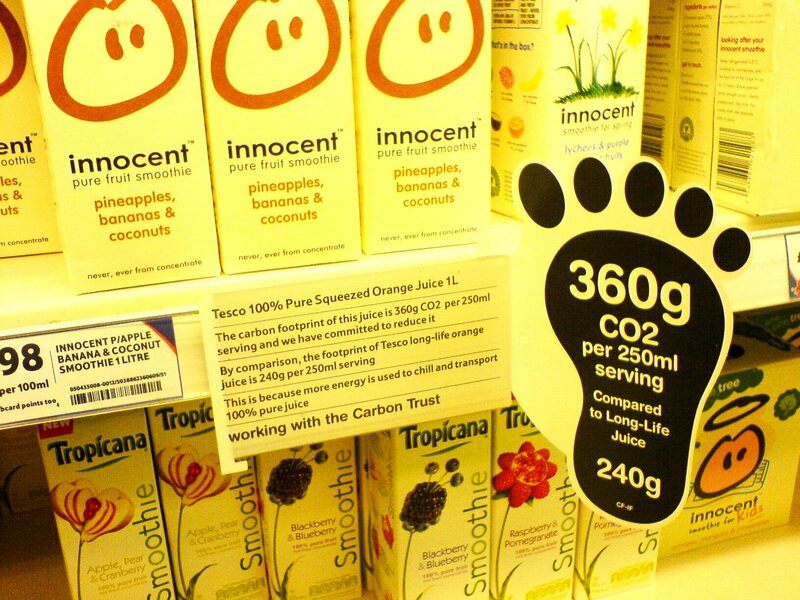 Specialists could calculate the environmental footprint of all manner of products. The results could be communicated to consumers with labels on the products, on websites, etc. allowing them to compare similar products in terms of their sustainability. The footprint results could also be used to determine how much tax is levied on a particular product, with higher taxes on more damaging higher footprint products.